The Faculty of Agriculture and Environment was founded in 1992. 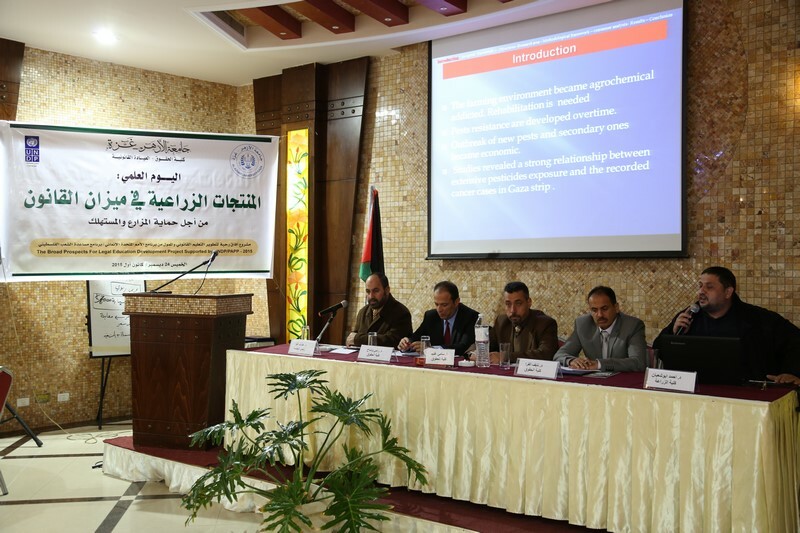 It was mainly designed to develop a new generation of scholars and specialists in agricultural sciences to keep up with the development of the various agricultural domains in Gaza and subsequently serve the Palestinian society. Hundreds of students graduated from the faculty and some have prestigious status in and outside Palestine. 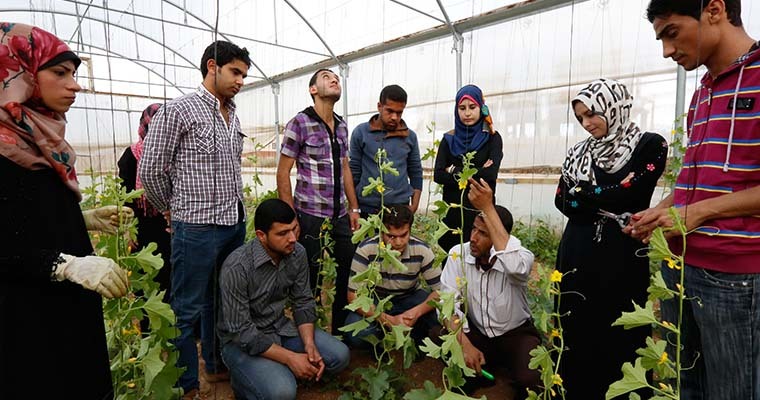 The Faculty of Agriculture and Environment at Al Azhar University-Gaza (AUG) welcomes all new and returning students to its exciting programs in Agriculture and Environment. 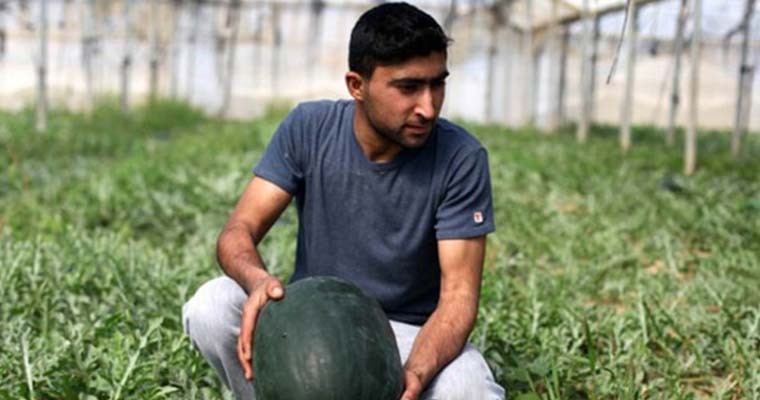 The Agriculture sector is considered the main pillar in building a public global economy In Palestine. In 1992, the late Palestinian President Yasser Arafat announced the establishment of the Faculty of Agriculture and Environment at AUG on an area of 140 acres in Beit Hanoun in northern Gaza Strip. 1. Plant Production and Protection Department. 3. Animal and Poultry Production Department. Furthermore, the Qatari Red Crescent took part in rehabilitating the faculty farm in Beit Hanoun in order to be a center of scientific research, training and production. The faculty also updated its study plans and curricula in line with the evolution of scientific needs. Moreover, in 2005, the faculty developed a master's degree in the above mentioned disciplines, in partnership with the Faculty of Agriculture at Cairo University in order to supplement the Palestinian agronomists with the latest findings of science and technology in the field of diverse agricultural development. 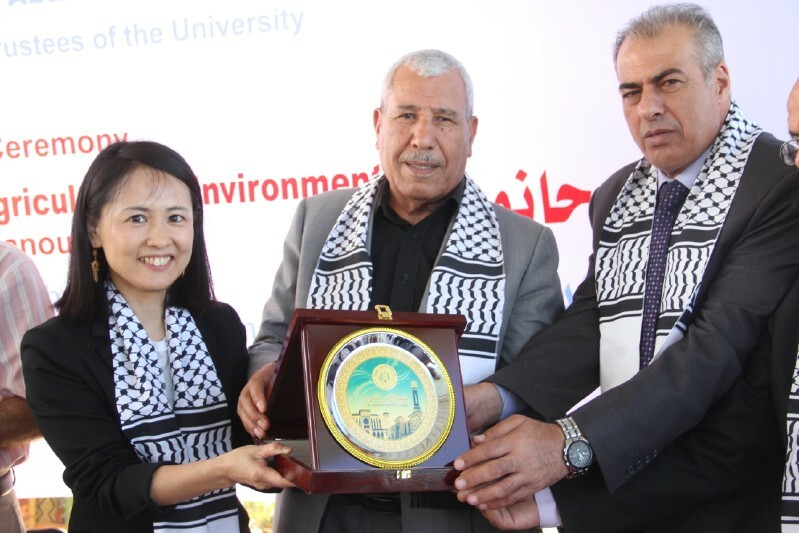 The Faculty of Agriculture and Environment at AUG will remain an active and positive role in the Palestinian community. To provide the agricultural production sector with specialized agronomists in order to achieve agricultural development in the society. 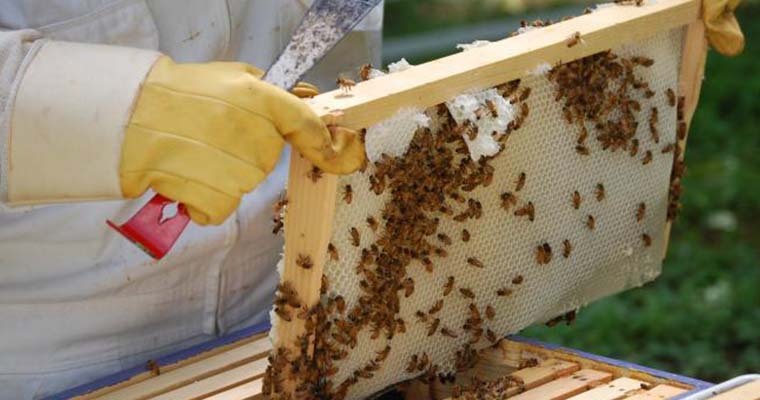 To conduct applied agricultural research to keep up with the agricultural development. To direct agricultural production in a way to not exceed the market need. To implement training programs for the faculty students and staff members. To develop programs to maintain the Palestinian environment. To develop and exploit the use of water and find solutions for water shortage. To support farmers in various agricultural fields through technical support. 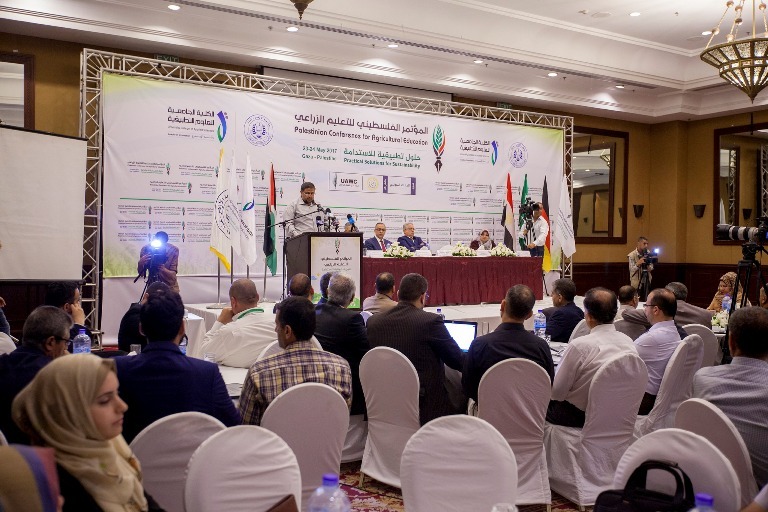 To find strategies for agricultural development in Palestine. To hold scientific conferences, seminars and agricultural exhibitions. Scientific Day " The Agricultural Products in the Balance of Law"
Workshop entitled " Study of the Gap between the Academic Study of the Labor Market"
Ceremony to celebrate the graduation of the academics involved in the Course of Curriculum Development. Prof. Dr. Hatem Al Shanti's project from Poultry and Animal Production Department and Dr. Ismail Abu Zanada's project from the Department of Plant Production and Protection won Ibhath grant implemented by Qatar Charity. Unit views of urban Agriculture Project. The Rehabilitation of Faculty Laboratories, funded by the UNESCO. The Cultivation of Drought-Tolerant Wheat Varieties, funded by the International Committee of the Red Cross (ICRC). The construction of the Faculty Model Farm in Beit Hanoun, funded by the Japanese government through the Japan International Cooperation Agency JICA. Aquaculture Project, funded by the Food and Agriculture Organization FAO.